A community of creators, explorers, and artists, the MOR provides a place to connect, share, and experience new media together with others from all over the world. 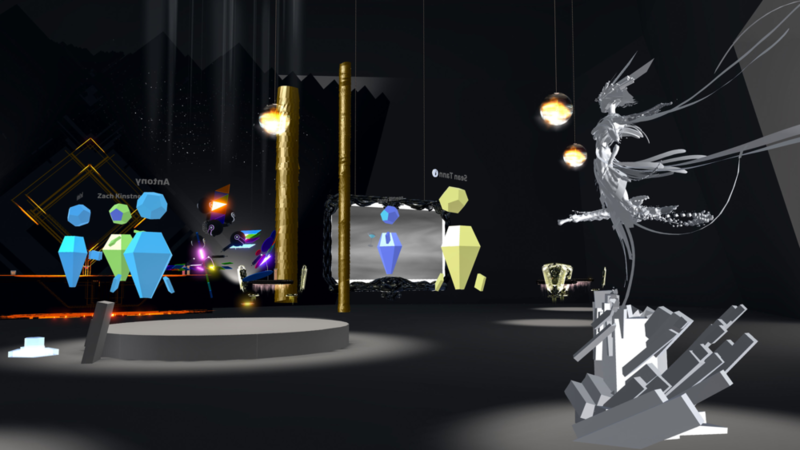 The museum contains a cross section of the free-ranging experimentation present in the relatively new medium of virtual reality art, supporting artists who are challenging and redefining what is possible. Together we can discover what this new space means to all of us. An immersive art showcase. Step into a painting, surround yourself with fantastic sounds, experience art as it evolves and takes form. Hang out with friends and enjoy a collective experience with new people. We hold regular parties, celebrating and fostering a community around this new medium. Every artist featuring their work in the Museum is paid and promoted. Are you making something incredible that could only exist in VR? We’d love to hear about your work! These artists currently have work featured in the Museum. Arsenault-Brassard is an artist who focuses on architecture and art in XR. He works in architectural as a BIM manager and designer. He organizes XR art shows at LiL Pocket Gallery in MontrÃ©al and has participated in multiple metaverse art shows: Cultvral, MOVA 2, Infinity: VR Art Gallery and the MOR. Through XR, Sam aims to explore the limits of reality so we can plunge into dreams, melt into imaginary spaces. Using the moniker 'cabbibo', an homage to the late physicist Nicola Cabibbo, Isaac Cohen is a VR Artist exploring the new paradigms of user experience for headset displays. He has also published an eclectic array of works ranging from audiovisual fact-learning apps to interactive experiences made from recursive algorithms. His work has been featured in various exhibitions and written about in such blogs as Intel's Creators Project, Google Experiments, Polygon, The Wild Magazine, Mashable, The Future of Storytelling, and Vice's Thump. Halberstadt is a sound designer with A Shell in the Pit Audio who works on whimsical indie games. She is fond of storytelling and recording everything she can to create organic soundscapes. Outside of sound she enjoys installation art, video editing, and writing. Most of her art centers around the themes of what technology is doing to our minds, memory, and time. Nick Ladd is a 3D animator with a background in illustration and a passion for creating new things. He uses VR tools like Quill and AnimVR to bring characters, creatures and worlds to life; and enjoys the creative freedom that comes with working in a virtual environment. He views VR as an exciting new art medium with a lot of exciting unexplored creative potential. Romain Revert is a director and 3D artist based in Paris. He worked in advertising and video games before joining the Illumination Macguff teams on AAA movies like the Despicable me saga. In addition, he has directed live action and animated short films for 3 years, experimenting with the tools of virtual reality. Sean Tann is the sole developer behind the VR GPU particle fluid simulation toy known as Chroma Lab. Motivated by his interest in GPU compute and VR which enable him to create surreal experiences that would otherwise be impossible. Sean is currently working in the UK as an electronics engineer and has recently graduated from university. A simplified spin-off off Chroma Lab can be found in the MOR gallery along with his mind-bending black hole. Mariam Zakarian was born in Armenia, currently based in Denmark. She creates fine art in traditional and digital media, focusing on VR. Mariamâ€™s roots are in representational, figurative work; paintings depicting the strange and surreal, subject matter about the darker shades of existence. Her room-scale pieces test the physicality of VR, combining otherworldly imagery and music with site-specific performance art, and exploring how entering an artificial world can leave a lasting emotional impact on the individual. Mariam is also M.Sc. in Media Technology(specialized in VR art) and occasionally shares her knowledge at international conferences and festivals, via talks and workshops. Kevin Mack is an artist and Academy Award winning visual effects pioneer. He received the Oscar for Best Visual Effects for his work on WHAT DREAMS MAY COME. 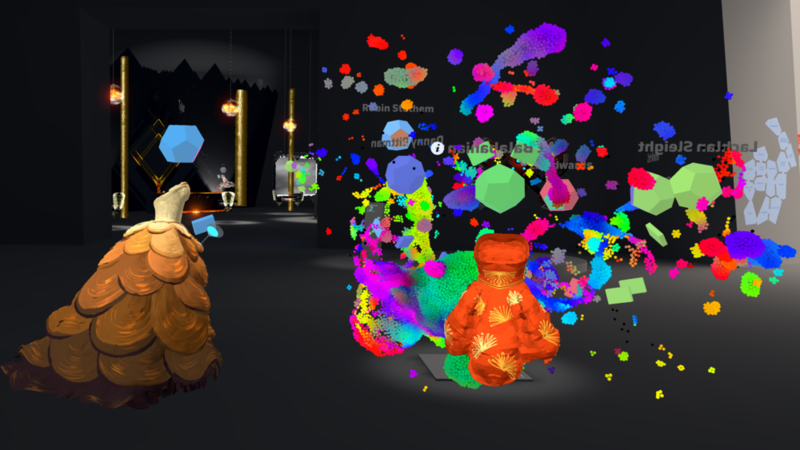 Mack's abstract virtual reality artworks, Blortasia and Zen Parade, have been exhibited at art and technology events around the world. Designed to inspire awe, engage the imagination, and enhance well being, Mack's work is being studied and used in therapeutic and medical applications. Mack is inspired by transcendent visions, natural phenomena, and technology. His work is informed by research in a wide range of fields from neuroscience to artificial life. Bayley is an Award winning, self-taught, robot obsessed illustrator who has been creating professionally since 1995 and currently works under the studio name â€˜CHOCOLATE SOOPÂ®â€™. His passion and philosophy are grounded in the belief that visual art must be appealing while challenging convention, be it through a toy project, an illustration, an app, or an animated film. DaCosta has produced designs across various media and collaborated with artists around the world, including work for major international studios and brands like Spin Master, Nintendo, Nexon, Sony, Atomic Cartoons, BRON and Hasbro. Anand Duncan is a designer for animation in television, film and VR. She has brought her bright playful designs to the hit series Teen Titans Go!, and her fun fashion illustrations to the pages of LA Magazine. Her love of retro sci-fi and renaissance gowns influence both her personal and commercial work. She likes to bring appeal to her characters and clothing by highlighting the structure of the body and telling a story. She lives with her husband and two children in the San Francisco Bay Area. Bastiaan Hooimeijer (Naam) is a self-taught 2D / 3D / VR artist / designer / animator / director / developer from the cold Norths of The Netherlands. He started out mid-1990's as comic artist, illustrator and poster designer, and went via DTP into 3D animation. In 2001 he founded the computer animation studio Happy Ship, with which he rolled into the VFX business, fully animated productions, and more recently VR development. 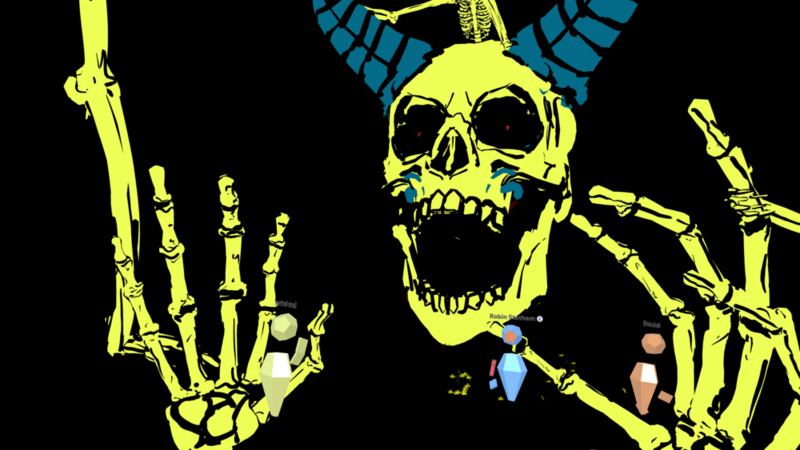 Micah404 is a New York based VR artist and member of the collective ART404, he gained notoriety in 2015 as a 2d illustrator with his instagram project @micahnotfound. He has since jumped headfirst into VR illustration, becoming one of the most active VR painters in the community. Partnering with cultural institutions including the ICA in Miami, the Whitney in New York and brands including Adobe, Pantone and Google his collective, ART404, continues to blur the lines between commercial and fine art. Software Engineer for more than ten years with a heavy interest in the arts since a young age. My main interest in recent years has been mixing both, therefore creating pieces with code and the help of computers and related software. I work with different tools for this purpose, starting with 3D and VR sculpting software to create pieces that will later be used in a custom 3D and VR environment; also texturing and retopology tools to create assets that can also be used in web. The end results are pieces that reflect my taste and are functional. Anna Zhilyaeva is a French/Russian artist living in the south of France. As an eternal pilgrim, she feels very good in any part of the planet and consider travel as the most important part of her education. After graduating from fine art school, she worked as a designer, illustrator and art director in a publishing company, but never stopped learning. Along her professional activities, she attended different universities in Russia and France studying visual arts, architecture, film making, sculpture and teaching. The amazing and endless possibilities of Virtual Reality are the reason she is now working almost exclusively as a VR artist, mainly through live performances and mixed reality video. Anna has adopted the term "Volumism" for her immersive creations of sculptured paint, because of the way this technology offer to create any volume and breaks the laws of gravity. Steve Teeple (better known as Teeps) is a digital artist currently residing in the city of Oakland, CA where he dreams of vast 3D worlds and mind bending creatures. He works across multiple mediums in the entertainment industry, specializing in 3D Concept Design, Digital Sculpting, Virtual Reality Experiences, Concert Visuals, and much more. Lachlan is a VR designer, creative coder and VR educator. He's worked to create VR experiences for professional applications including optimising mental states, brand-activations, historical reconstructions, immersive computing and theraputic VR. His main area of interest is the ways that VR allows us to expand the scope of experiences accessible to a human mind by allowing us to manifest and share the worlds and spaces inside our heads - ultimately bringing us closer to nature and ourselves. He is currently working on applications exploring free interaction in VR and what this means for unique vs. curated experience. Mez Breeze crafts XR art, VR + AR experiences, games, experimental storytelling, Virtual Reality Literature, and other genre-defying output. Mezâ€™s VR Experience â€œOur Cupidity Codaâ€ was a Finalist in the 2018 EX Experimental New Media Art Awards, and her â€œThis Golden Stanceâ€ was showcased at the 2017 Las Ranetas International Festival of Virtual Reality. In 2018, Mez partnered with Microsoft, Samsung and MasterpieceVR for their â€œVR Influencersâ€ Sustainability Initiative where VR Artists were invited to design models using a Windows Mixed Reality Headset. Mez currently serves an Advisor to the Mixed Augmented Reality Art Research Organisation, as a co-founder of the XR Artists Collective, and is a Senior Research Affiliate of the Humanities and Critical Code Studies Lab. 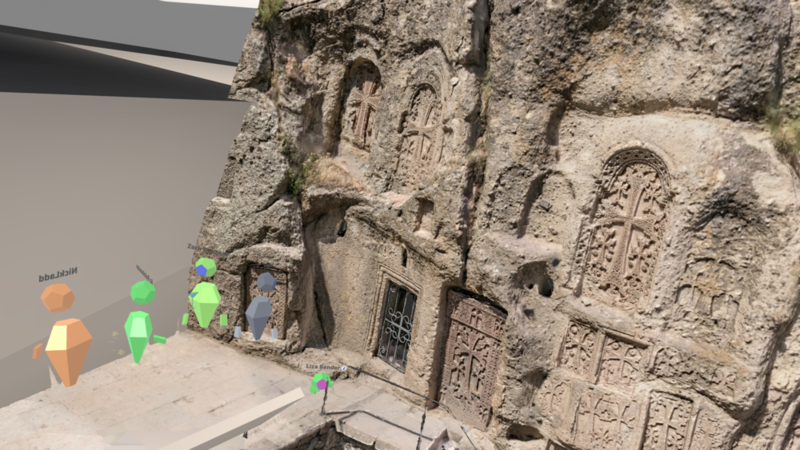 Bittman is a virtual reality artist, film maker, and developer creating the fastest workflow to translate the human imagination into digital information. Using VR creation tools like Tilt Brush and Blocks, he has created immersive designs for Marvel, Google, Hyundai, Nvidia, and more. Most of his work centers around self initiated experiments to explore what's possible. Bittman's background is in narrative and freelance film making with a hint of practical SPFX mastery. He has always loved writing stories about VR and AR. Elizabeth Edwards grew up in East Yorkshire in the UK and studied Computer Games Art at Teesside University before a MA in Video Game Development at Birmingham City University. After school she was a 3d character artist in the AAA games industry before moving to Montreal where she now lives and works. 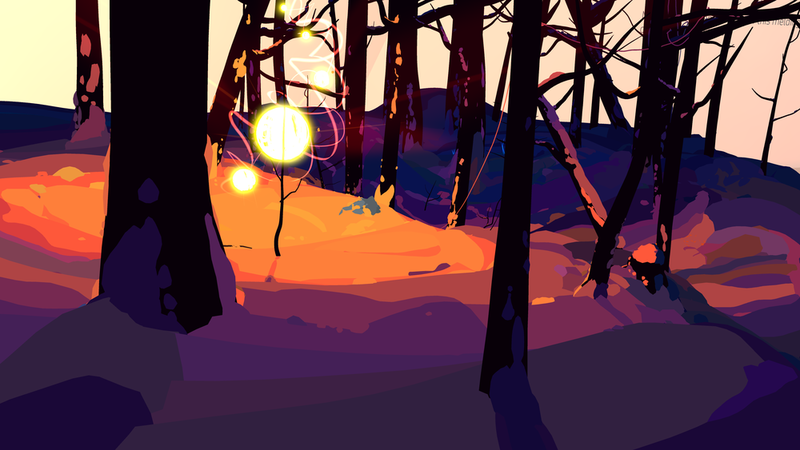 Edwards started working in Tilt Brush as soon as the Vive became commercially available. She is now well known for her work in Tilt Brush, Medium and Quill, producing quite different work in each program. She thinks of Medium as closer to Sculpting and Tilt Brush to drawing. As a software developer, Zach has a particular focus on design, interaction, usability, and user experience. He has over a decade of experience as an independent software consultant, and has worked exclusively with 3D input devices and VR/AR for several years. Mike Murdock is a Director working in Virtual and Augmented Reality. Originally from Wisconsin, his work explores the balance between natural and virtual worlds, often with ironic and comedic overtones. His work has been shown worldwide including Sundance New Frontiers, The World Economic Forum, Tribeca, and South by Southwest. He earned his MFA from the USC School of Cinematic Arts in Interactive Media and Games. In his free time, he makes sci-fi interface art and produces electronic music. Sutu uses art and technology in new ways to tell stories. He is known for his interactive comics including Nawlz, Neomad, Modern Polaxis and These Memories Wonâ€™t Last. More recently he has been commissioned by Marvel and Google to create Tilt Brush Virtual Reality paintings. He has also created two VR documentaries, Inside Manus for SBS and Mind at War for Ryot Films. He holds a Honorary Doctorate of Digital Media, is a 2017 Sundance Fellow and is the co-founder of EyeJack an Augmented Reality company. 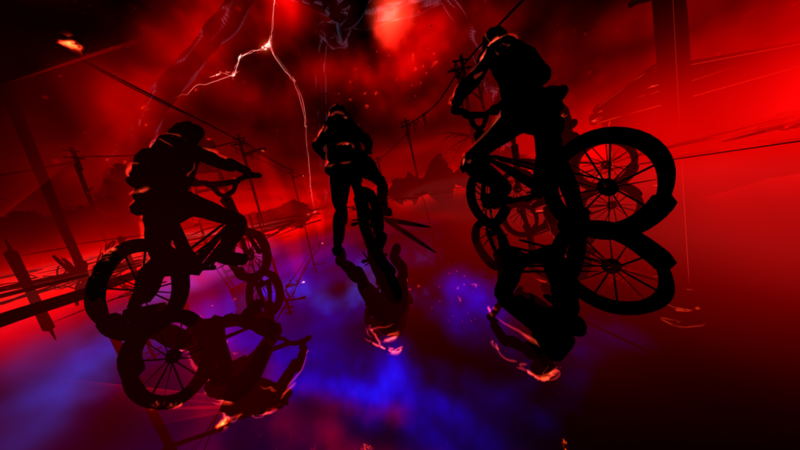 Estella Tse is a Virtual Reality artist and creator based in Oakland, CA. She focuses on the integration of emerging tech and visual storytelling as a new art form, to inspire new ways of connection, education, and empathy building. Estella has lectured at ∓ collaborated with Google, Cartoon Network, Dreamworks, SIGGRAPH, Unity. Vladimir Ilic is german creative technologist focused on VR and AR. Under the pseudonym VRHUMAN he is researching the boundaries of the human experience with projects like the Artifacts Piano Bar. Blending realities and art with virtual reality tools like Tilt Brush and Oculus Medium he works towards forming strands and stories that connect humans. His VR talks and workshops about the ongoing experimental research project #VREVERYDAY have been featured in books and major websites in countries like the USA, China, Russia, Germany, and Japan. Constantly pushing the cutting edge of hardware and software forward to inspire and educate about new immersive technology. Vladimir worked with partners like Google, AMD, Mozilla, Sony Pictures and the European Parliament on immersive projects that expand our understanding of art and technology. Get notified about our events and other Museum updates.